Since 1985, cooperatives (co-ops) have relied on Red River Software’s expertise to assist them with their unique accounting needs; including patronage, fixed margins and advanced financial reporting. 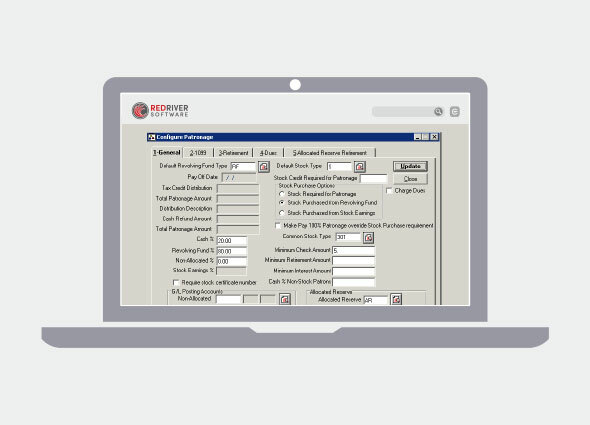 With a seamless integration to Red River Software’s CSMinder for convenience stores, co-ops can handle the accounting for their fuel deliveries, convenience stores and patronage all within one software package. Don’t be overcome by endless spreadsheets. Eliminate the duplicate or triplicate data entry and free up your time to build your business.